To tide us over until the Tournament of the Tease at BHoF – and to raise important funds for the Burlesque Hall of Fame museum – each year the Seattle glitter tribe gathers for a night of friendly competition. The Seattle Burlesque Games are an annual fundraiser and tournament in which performers go head-to-pasties to show off their burly skills. Past events have included tassel (and assel) twirling, fan choreography (without fans for extra ridiculousness), stocking peels, and more. 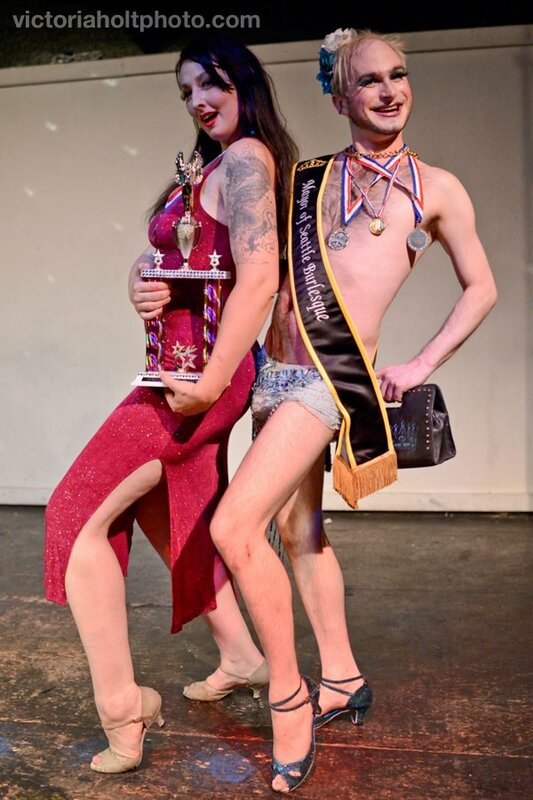 In addition, the Games host the election for the illustrious office of Mayor of Seattle Burlesque. Just like in real politics, people vote with their dollars to decide who the next burly-Q benefactor will be and the election proceeds are donated directly to the BHoF Legends Challenge. Fringe and dollars will fly on September 20 at the Re-Bar at 7pm. This year’s Games are just around the corner, so last week I had the pleasure of chatting with the effortlessly lovely Miss Kitty Baby about the fundraiser that’s become one of the most exciting Seattle burlesque events of the year. Crystal Tassels: What makes this event so special on a community/historical level? Miss Kitty Baby: The Burlesque Games are a sort of community team-building exercise, that’s why they’re so fun. People are coming together to do this thing together, but it’s slightly competitive. It’s like in corporate team-building exercises when you do something out of the norm and you’re competing but still working together. There are lots of opportunities in the burlesque arts for performers to compete with acts that they’ve honed and put craft into, but we want this to be more fun and more casual. Performers aren’t putting their brand on the line here so they can get up, have fun, and play around. That’s why all acts are capped at two minutes in length. 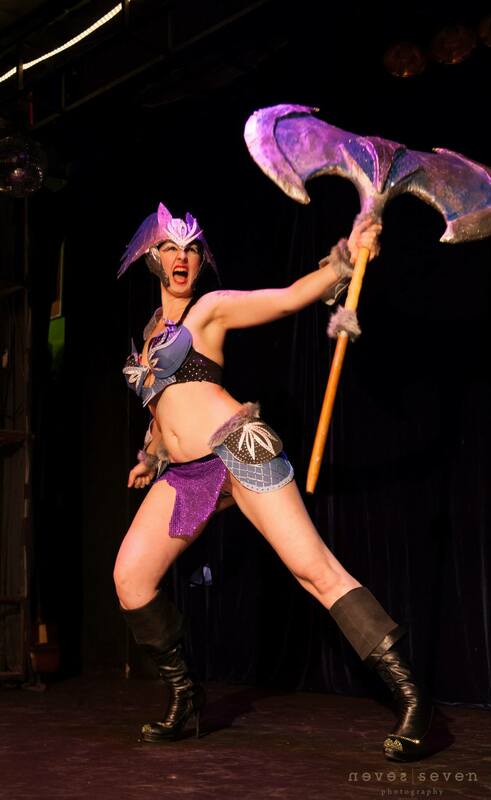 We want to keep it silly, lighthearted, and the length of a regular burlesque show. Plus, the short runtime discourages people from bringing acts they already have, though we do encourage people to use costumes they already have, so lots of fun acts are born out of this show (including acts based on Waxie Moon’s dramatic glove removal and Flirty Sanchez’s thrift shop act from 2013). This year, we have 37 performers and volunteers. The support from the community is overwhelming and it’s really fun to see folks come together. There is a good mix of performance levels and everyone has a task. We’ve never had to turn anyone away to participate. In 2012, Waxie Moon was a judge and then was dying to compete. Jamie Von Stratton did an epic ribbon dance to “Xanadu” the first year for the opening ceremony. Then she was a judge, and now she’s competing in the “Dramatic Glove Removal” category. She’s a ten-plus year performer who’s super successful and she’ll be up there with brand new performers. People come back every year, even in different capacities, because they love it. CT: How has the show grown or changed since the first time you held it? MKB: The categories have changed a bit. We took a poll of the performers that participated last year to see what they felt should be kept or cut. “Dirty Bump and Grind”, which was nixed last year, was the most popular category to be brought back. So now we have a “Dirty Dirty Stripper” category. Twerking was the finale event for the first two years. We acknowledged that it wasn’t necessarily related to burlesque but that we wanted to do it because we’re perverts. But if it isn’t something people normally do in their choreography, not a lot of people are jazzed about it. There will be no twerking this year. CT: Any highlights from previous years? 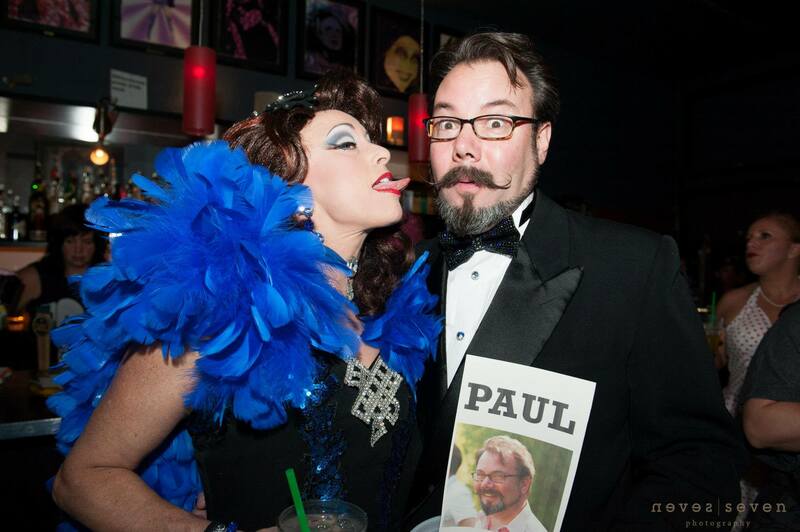 MKB: The most unexpected highlight has been how wonderful the Mayor of Seattle Burlesque has been each year. We originally created the role as a publicity stunt, and many other cities have burlesque mayors. The candidates had to campaign and fundraise for the Legends Challenge in order to win. Our first mayor, EmpeROAR Fabulous!, said that people were coming up and asking him what he was planning on doing with title when he won the election. So we set up some loose guidelines and asked that they wear their sash at BHoF and Pride, and do one thing to raise funds or awareness for BHOF at some point during their year as mayor. Our last two mayors have gone above and beyond that. This year, we had advanced voting through Brown Paper Tickets and have already raised as much as the candidates did last year at the show itself. CT: What about the cause? How does the fundraising aspect affect the show? MKB: First of all, there is a huge level of gratitude from producers who get people to donate their valuable time and talent. Sometimes, in the case of charity events, the cause is more important to the producer than it is to the performer. The Burlesque Games is benefitting BHoF and the Legends Challenge, so it feels more inclusive to everybody. We’re doing this for our own good, even if it just perpetuates the idea of the Burlesque Hall of Fame. So many people want to participate for this cause, so we designed this so that the maximum number of people could be involved. We wanted it to allow for many more people than the standard eight performer burlesque show. Get your ticket to the Seattle Burlesque Games and don’t forget to cast your votes for the Mayor of Burlesque! ~ by angrytruffle on 09/18/2014.